Greek Orthodox Baptism invitations Hello Kitty stick hand-made for baby girl. 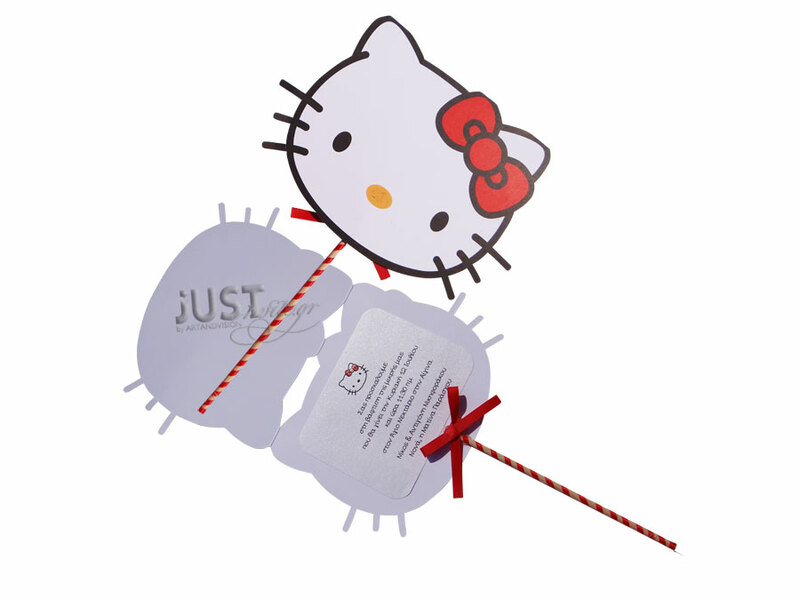 Kids’ favourite Hello-Kitty pattern attached on a stick coming in a white insert with your personalized wording. The design is finished with a red satin ribbon and your bespoke invite is printed in black colour. Height: 30 cm. This range is coming in an assortment of colours. https://www.preciousandpretty.com/2017/04/hello-kitty-theme-christening-invitations-for-girl-C1019.html Greek Wedding Favors|Orthodox Crowns|Stefana|Baptism Invitations Hello Kitty themed Christening invitations for girl C1019 Hello Kitty theme Greek christening invitations in stick style for girl Product #: Greek Wedding Favors|Orthodox Crowns|Stefana|Baptism Invitations_1074854582219613464 5 stars out of 5 reviews.